1.) Most locals run around in their trainers on the weekend. They probably go on a ‘tur’ (gå en tur = go for a walk). 2.) It’s hard to find a breakfast place. Noticed that already in Oslo. That doesn’t seem to be a thing here. I wonder why though. If you have any information, let me know. 3.) 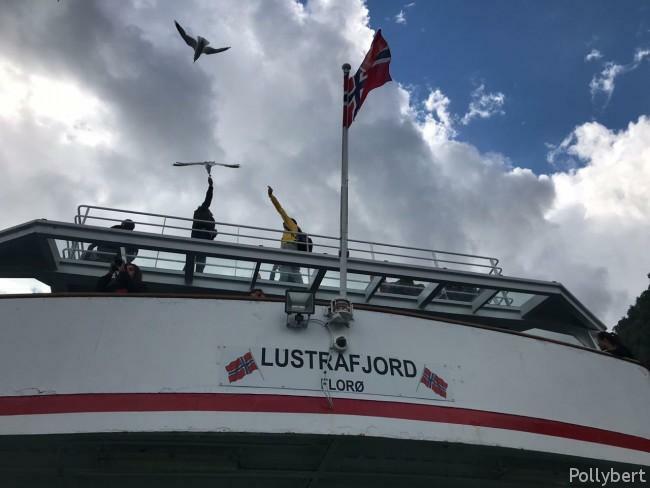 The Norwegians love their flag. It’s flying quite often next to their hytta. Or in the middle of somewhere because it looks good. 4.) I slept in a hotel which had its entrance through a mall. So, weird doesn’t completely describe my feelings while I walked around it on Sunday with all shops closed. 5.) 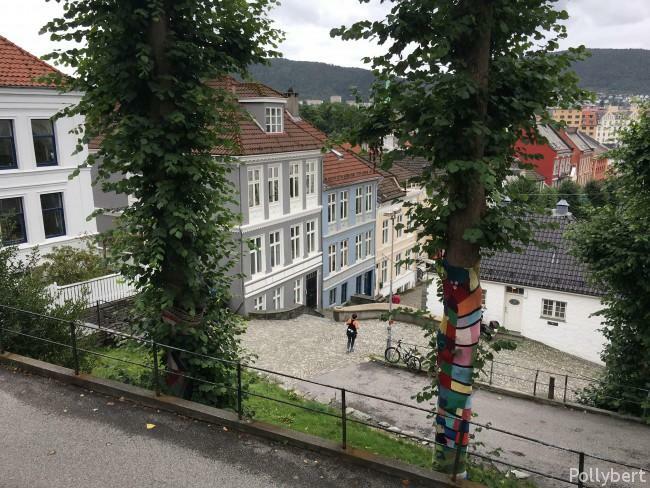 Trees in Bergen get wrapped in colorful scarves. 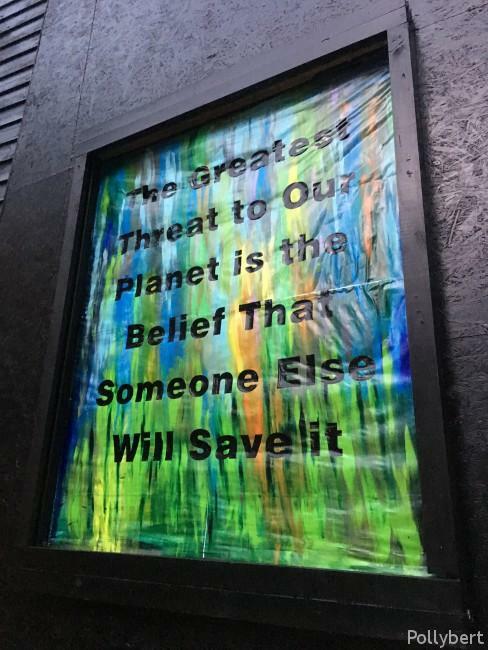 Maybe to save them from getting a cold? 6.) 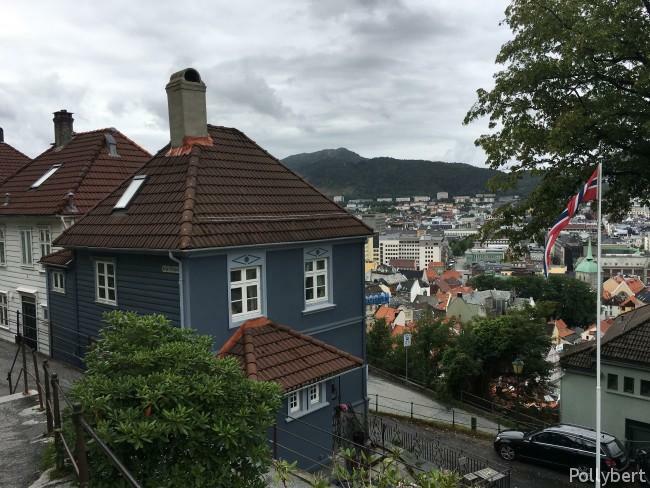 Bergen is called the rainiest city in the world and it is not an exaggeration. Hence it rained every single day while I was there. 7.) Bergen has a Julehuset (Christmas shop) which is open all year-long. I liked best that it was in one of the original houses in Bryggen. 8.) Always check if organized tours are really worth your money or if your better off doing it on your own. 9.) The Chinese were the biggest group of tourists I saw in and around Bergen. And as usual they do stuff nobody else does, like feed the seagulls. 10.) I do love inspirational quotes even though it is totally lame. Bergen, Europe, Norway, tips, travel, traveling Europe, traveling solo. Bookmark.